Surviving a fast day…the healthy way! It would be easy to spend those days eating and drinking lots of gunk and junk aka diet foods and drinks, which are touted as being low in calories. Although I did do some of this initially, as my 5 to 2 diet has become a longer term commitment (I’m now about 3 months into it) I’ve tried to find healthier alternatives to the diet drinks in particular, filled, as they are with goodness knows what preservatives and sweeteners. Here’s my solution to that particular dilemma: fizzy water (San Pellegrino is my fave) mixed with lime juice. Great substitute for a diet lemonade and no artificial ingredients in sight! Not only does the fizzinness fill you up, but the lime deals with the fact that I really find water on its own terribly, terribly boring. 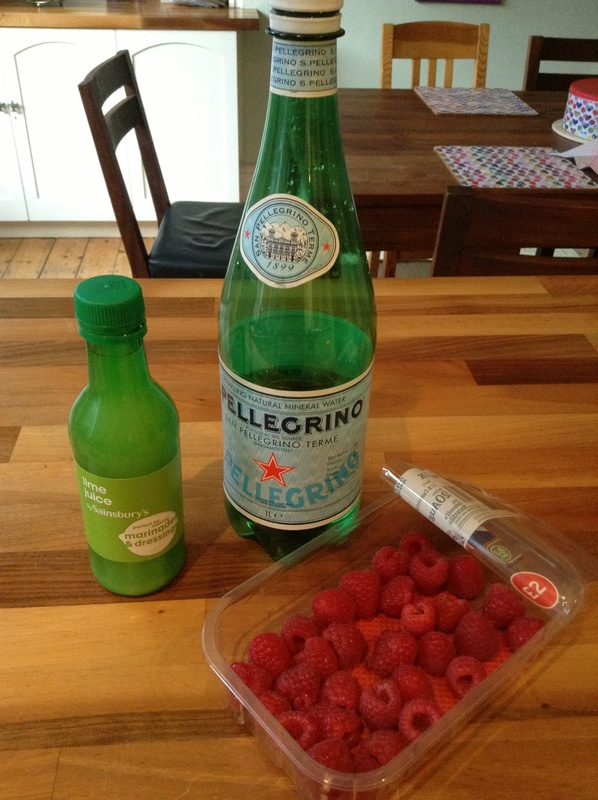 And my other brilliant discovery on those fast days: 100g of fresh raspberries contains a mere 30 calories. And we all know how completely fab they are in every single way possible! I’ll have more tricks on surviving a fasting diet tomorrow, so watch this space!